There is an old adage in the hospitality industry that college towns are recession proof. They provide a constant demand for lodging properties: accommodating prospective students and housing visiting parents and other academics. Canton, New York, is a superb example of a thriving college town and is home to one Inn, in particular, that caters to this strong and steady clientele. White Pillars sits on 165 acres of horse meadows, fields and woods just outside of the village of Canton. The Inn’s 11 unique guest accommodations range from quality standard rooms to fully equipped efficiency apartments. The Inn is six miles from St. Lawrence University and SUNY Canton and approximately sixteen miles from Clarkson University and SUNY Potsdam. Beyond the business generated by the Inn’s proximity to these active universities, the Canton area is home to a full service teaching hospital and is fleshed out by an active segment of leisure travelers and outdoor enthusiasts who come to explore the 1000 Islands, the Adirondack Mountains and local points of interest. The Inn’s proximity to Canadian population centers (76 mi to Ottawa / 117 mi to Montreal) brings an international appeal to vacationing in the North Country. White Pillars has 11 rooms of varying styles in 3 adjacent buildings. 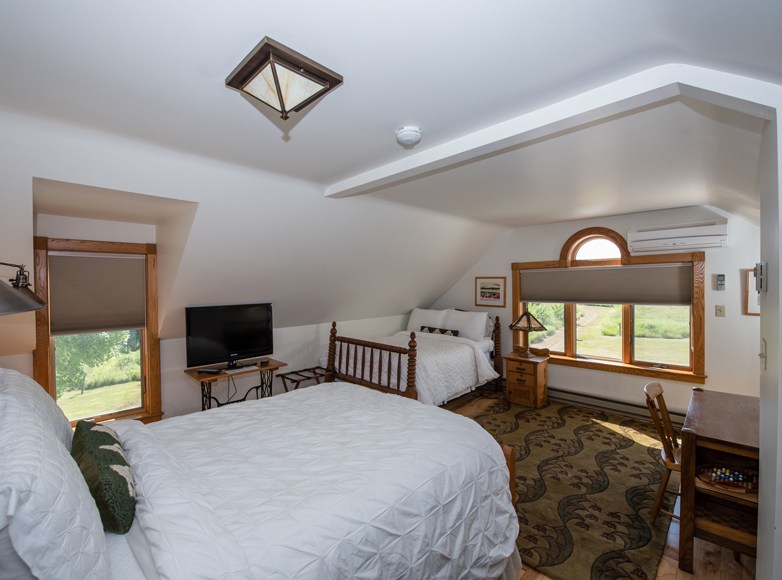 Overall, the Inn is impeccably styled and has been restored and updated with high quality appliances, furnishings and amenities, including king or queen size beds, additional single beds, Jotul gas fireplaces, Vermont Casting Stoves, Jacuzzi and jetted-tubs, marble floors, cathedral ceilings and much more. Contact Inn Partners at 877-957-2360 for details on this outstanding Canton, NY, Bed and Breakfast for sale.